All CULEBRA S TO DELGADO SA homes currently listed for sale in San Antonio as of 04/25/2019 are shown below. You can change the search criteria at any time by pressing the 'Change Search' button below. 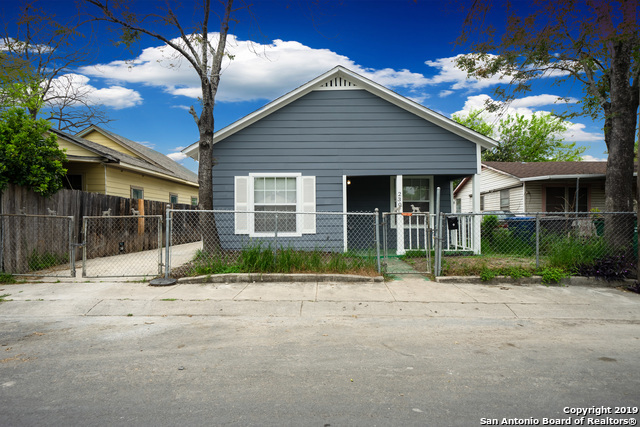 "A charming home near downtown San Antonio! This house has had an extensive rehab to create a wonderful home ready for a first time homebuyer or an investor looking for a great rental property. Beautiful laminate wood floors throughout, new windows, a brand new roof and AC, fresh interior and exterior paint . All-new kitchen with granite countertops! This home is minutes from IH-10 for easy access to downtown, and a short drive to St. Mary's University and Our Lady of the Lake University."